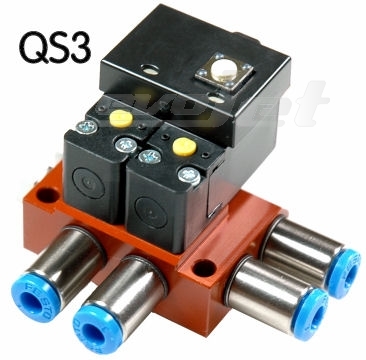 The valve is simply connected to a receiver- or controller-output just like you would connect a servo. This allows precise and easy programming of the switching points with the help of a small push-button on the valve. 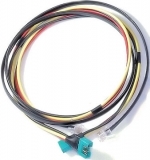 Two LED's informs you about the current switching state. 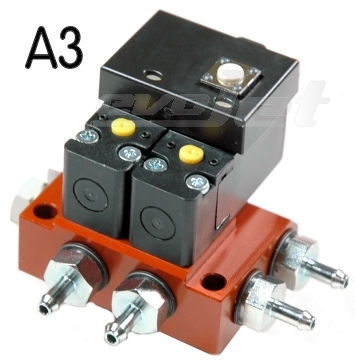 This dual version is suitable for dual action cylinders. This Product was added to our catalogue on Wednesday 04 September, 2013.